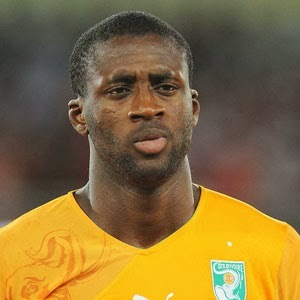 Yaya Toure is the 2013 African footballer of the year. This was revealed at the 2013 Glo CAF Awards held last night in Lagos. The Ivorian beat Nigeria's Mikel Obi and Didier Drogba of Ivory Coast to win the award. In his speech after receiving the award, Yaya said: "I thank my family for their support and also congratulate John Obi Mikel, who also deserved this award."